Monitors for radiology and medical use are rare and quite expensive, so they are usually reserved for bulk or corporate purchases. The display industry has come up with very specific products to fill several niches, but this category isn’t very popular in the retail market since its mostly hospitals that procure them. The good news is there are some qualified consumer-grade monitors which are suitable for clinics and offices with more practical prices and widespread availability. Monitors for radiology and medical use have no functional differences aside from a few specific characteristics over your gaming or office display. Every model out there is suitable, but not every last one is ideal. Here’s a guide on how to pick monitors for radiology and medical use. All monitors are compatible since radiologic outputs such as mammograms or x-rays are now viewed on standard PCs or workstations along with the classic films. However, there are a few standards prescribed by PACS guidelines which should help in selecting monitors for radiology and medical use. Size and Resolution – A monitor’s size and resolution dictates how sharp or clear images will be so it is crucial in radiology or medical use. PACS standards prescribe a minimum of two megapixels which is equivalent to a 1920 x 1080 display or higher depending on screen size. However, what’s more important is the pixel pitch or PPI which is the determining factor of how much details can be seen when viewing a digitized scan or x-ray. PACS or Picture Archiving and Communication System standards dictate that a workstation for laboratories or radiology departments should sit 19” to 27” monitors with a pixel pitch of 195-273. Consultation monitors should be at least 30 inches with a pixel pitch of 312. Display products with this kind of screen aren’t common, so it’s best to choose a consumer-grade model that is as close as possible. Brightness and Panel Uniformity – PACS standards suggest that specified commercial monitors for radiology and medical use should have a luminance level greater than 350 cd/m2 to around 420 cd/m2. The chosen product must be able to keep this level up at all times with a deviation of no less than 15% on the quadrants of the screen. Designer monitors with brightness compensation technologies are out of the question since the deviances could be higher than the prescribed limit. The reason for this is because radiologic images may contain up to 256 shades of gray that has near-white points which may disappear if the screen is too dim or too bright. Setting a monitor above the mentioned limit will also conceal these tiny details which may spell the difference between accuracy and misdiagnosing a patient. Calibration – Radiologic images require even transitions from black to white to show subtle details such as scans of upper abdominal contents of the liver or spleen or microcalcifications that indicate breast cancer. Diagnostic accuracy is increased with a monitor that is calibrated for the DICOM GSDF format. This method, however, isn’t widely available in most monitor OSDs including those on prosumer variants with various color filters. As such, it is advisable to choose monitors for radiology and medical use which have hardware calibration compatibilities for superb accuracy. You will also need a trusted colorimeter and the right application to apply the proper adjustments regularly. 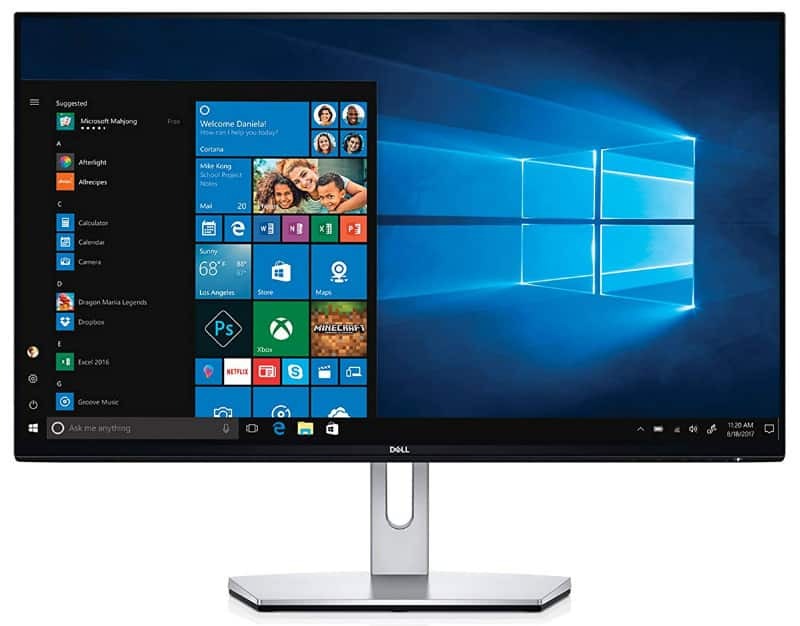 The Dell S2419H offers an excellent package that make it a suitable entry-level option among the suitable monitors for radiology and medical use. The display features a decent IPS panel that is capable of excellent color and contrast along with a backlight that peaks at starts at 250 cd/m2 which is the bare minimum most would set and peaks at 400 cd/m2. This value model is also one of the best-designed when it comes to aesthetics, making it an attractive budget option for clinics and medical students. 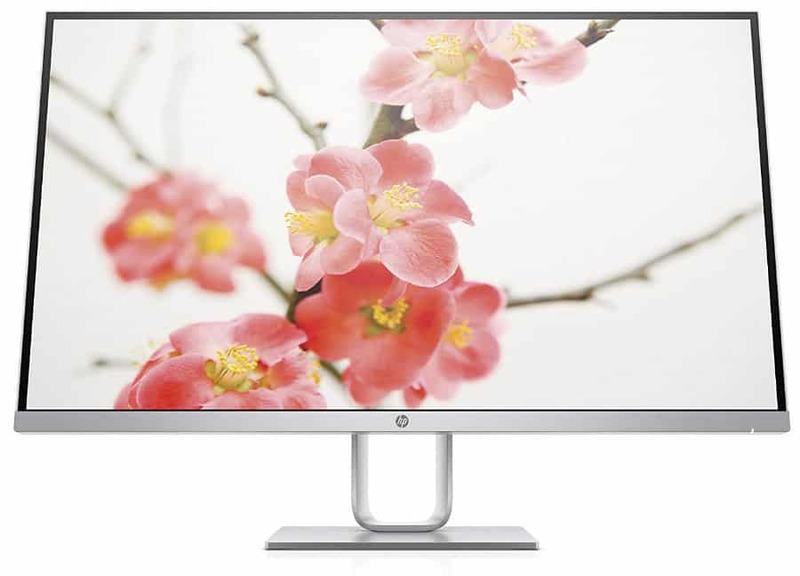 The HP 27Q is an affordable 1440p IPS monitor with decent contrast and a screen that has excellent image qualities. 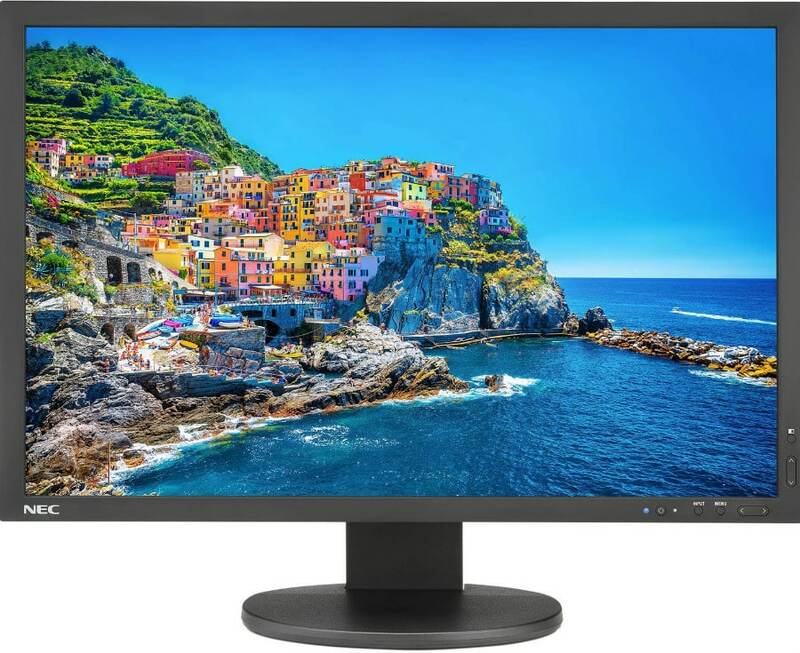 This monitor isn’t merely limited to good looks, since its one of the best performing in its price bracket when it comes to grayscale output and uniformity. The resolution is ideal for viewing detailed images despite a lower pixel pitch, making this a good affordable option if you want a sharper screen. The Philips 258B6QJEB is a smaller QHD option that’s designed for business uses that require excellent imaging qualities. This model has a very strong contrast ratio which is great for viewing x-rays and scans. It’s also one of the reasonably-priced products we have tested that has an excellent panel uniformity with deviances staying well below 8% for most of the display. The NEC PA243W is an expensive WUXGA (1920 x 1200) professional monitor with a wide gamut, but it’s one of the few commercially available models out there that is capable of hardware calibration which will allow its users to set a DICOM GSDF profile with a colorimeter. NEC is a well-known brand in the business electronics market, so you can rest assured that the product will receive excellent support and usability for years to come. 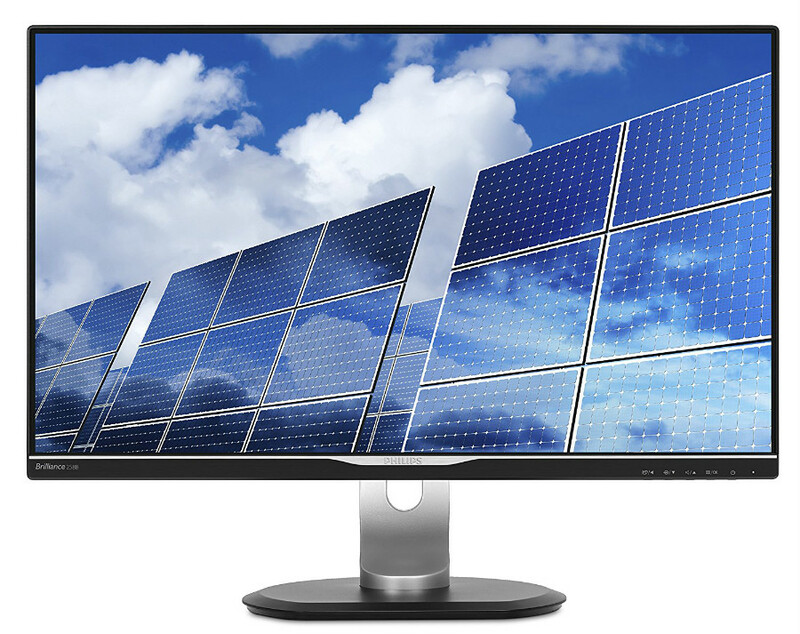 The Eizo FlexScan EV2785 is one of the most sophisticated business monitors we have tested thanks to its brilliant features and excellent quality. The IPS screen is capable of excellent accuracy and contrast, making a suitable choice for viewing x-rays and mammograms. The backlight for this unit is rated at 350 cd/m2, but testing revealed that it can actually reach a searing 497 cd/m2 at max power. 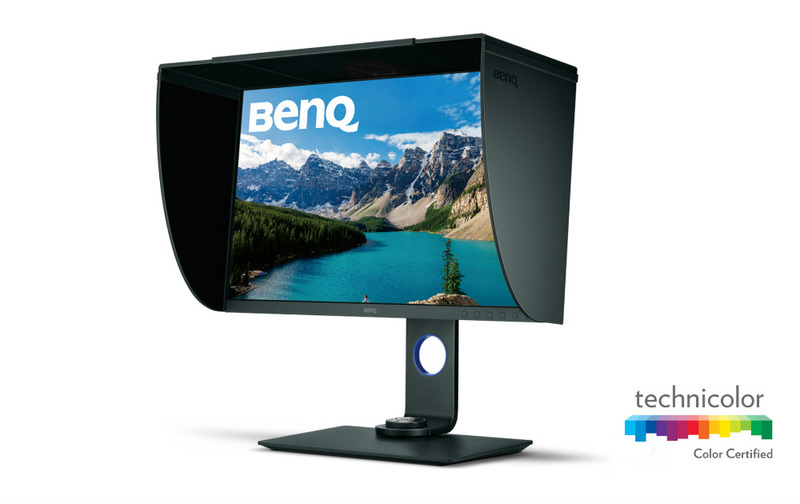 The BenQ SW271 is a professional-grade display that’s ideal for design, but its also one of the monitors suitable for radiology and medical use due to its features. 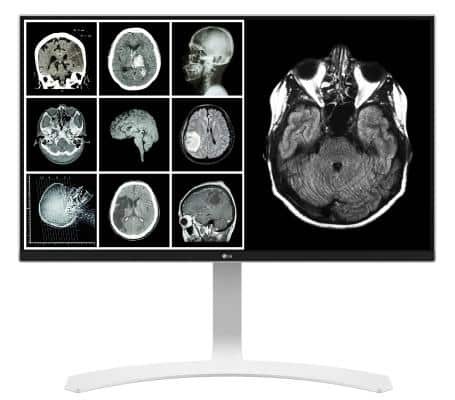 This 4K monitor has a fantastic UHD screen that is crisp and accurate which makes it ideal for viewing high-resolution scans and x-rays. It’s also hardware calibration compatible, so setting a DICOM GSDF profile is doable via readily available apps and colorimeters. 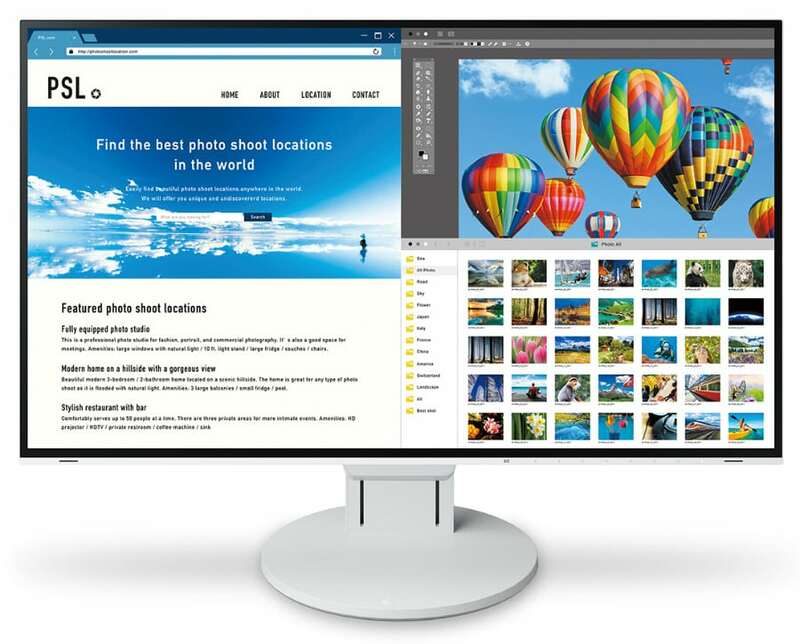 The Dell U3219Q is one of the best 4K monitors in its category due to its tight factory calibration and which includes good grayscale and contrast performance. The 4K screen is sharp and well-detailed which makes this an excellent platform for consultations or viewing scans and x-rays. 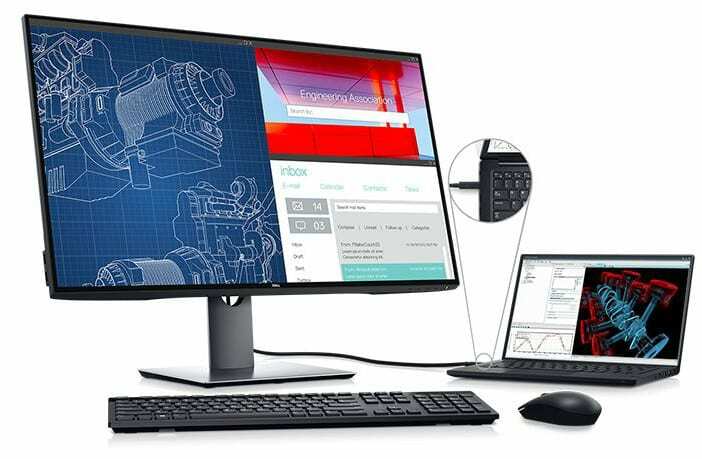 The Dell U3219Q is equipped with ideal features such as USB-C for the latest workstations, ensuring that it is suitable for clinical use for years to come.